Home Article My Wife And Kids Star Parker McKenna Posey Adorable Relationship With Boyfriend; Who Is Her Boyfriend? My Wife And Kids Star Parker McKenna Posey Adorable Relationship With Boyfriend; Who Is Her Boyfriend? Parker McKenna Posey started out her career at an early age of 3. The 22-year-old is widely known for her work in the series, My Wife and Kids and Alice Upside Down. Her professional life isn't the only thing to be amazed from as the personal aspect of Parker's life is kinda more intriguing. Up until now, she has been linked with three men in her life. Without wasting any time, let's get right into it. 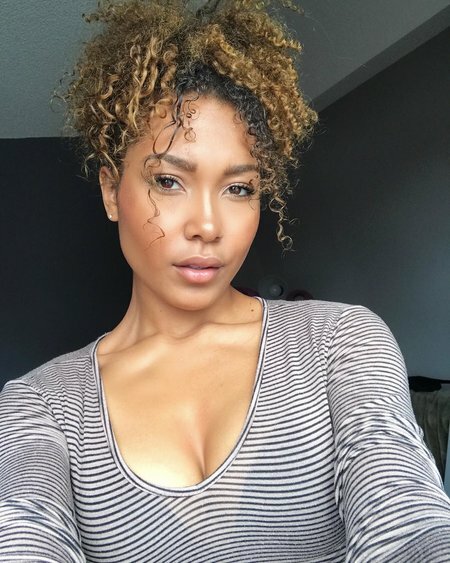 Parker McKenna Posey-Currently Dating A Divorced Father; Who Is Her Boyfriend? As we all know, celebrities tend to hide their personal information like their boyfriend, dating lifestyle and stuff like that. Parker and her current boyfriend denied there's anything between them but in the end, the speculations were all true. Yes, guys, she is dating, Christopher Sails. The speculation of their dating first came to the light when she appeared alongside, Chris in a music video. At first, the couple was not open about their relationship and kept it down low. 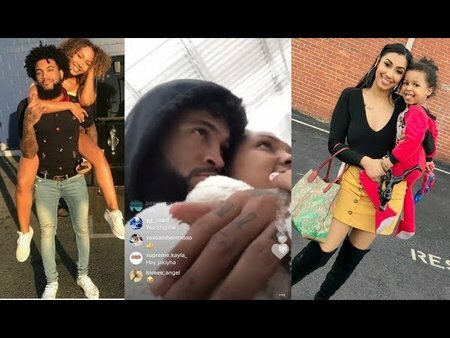 Chris was previously married to Queen Naija and is a father of one son with her. Things went down under when his wife accused him of cheating on her. This very incident led to the demise of their relationship and the couple filed for divorce. Their divorce is now finalized and both of them co-parent their son together. Now coming to Parker and Chris relationship, well, to be honest, they look made for each other. In an Instagram video that Chris shared, Parker is seen playing and cuddling with his son which goes on to show, she'll be a great mother. Back in 4th April 2018, Chris shared a video on YouTube titled, OUR MORNING ROUTINE AS A COUPLE, and finally acknowledged her as his girlfriend. In the video, the duo is seen playing with one another. Parker McKenna was previously in a relationship with rapper, Problem. The couple had an age difference of 10-years but their relationship went smoothly. But looks like their relationship couldn't survive and they called it quits in the year 2017. She was once in a relationship with actor Mandela Van Peebles in the year 2013. Their relationship first came to light after her mother revealed it. Don't Miss; Are Lena Dunham and her Boyfriend Jack Antonoff in a relationship? So basically, the famous blogger, Sandra Rose stated that Parker McKenna might probably be bisexual. In order to prove that her daughter is not bisexual, Parker's mother openly disclosed she is dating Mandela. Speaking of her parents, she is the third child of her parents. She is closer to her father and usually posts throwback pictures with him, showering affection to him. Born on August 18, 1995 (age 23 years), in Los Angeles, California, United States. She is the daughter of Heather Stone and Polo Posey. Her mother is also an actress. She has three other siblings named Jewel Posey, Jake Posey, and Carl Posey. She is quite interested in traveling. She is an activist of Stand Up to Cancer Foundation. Her net worth is estimated at $1.5 million.